Painted kitchen cabinets are an excellent choice for those who not only want to give their kitchen a fresh new look, but also save some good money in the process. They are versatile in style, so you won’t have to worry about the fact that painting them will give your kitchen an outdated look. However, if this is the first time you want to paint your kitchen cabinets, then you may be unsure of the color you should choose. 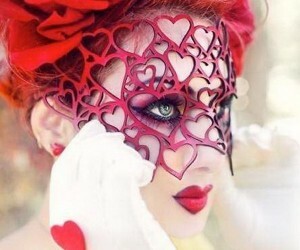 After all, each color impacts your mood differently, so choosing the right one is very important as we’re going to see below. For plenty of families, the kitchen is one of the most important rooms in the house and that’s because this is the meeting place where meals are shared and conversation are enjoyed, creating a truly positive atmosphere that stimulates appetites and promotes socializing. When it comes to choosing the right color for your kitchen cabinets, you should know that greens, purples and blues usually curb hunger, but orange and red have the opposite effect. On the other hand, yellow and its various shades can improve thinking and activate metabolism, while brown gives you a warm and cozy feeling. Therefore, in the following paragraphs we’re going to take a closer look at some of the colors you can choose for your kitchen cabinets and the impact they’ll have on your mood. 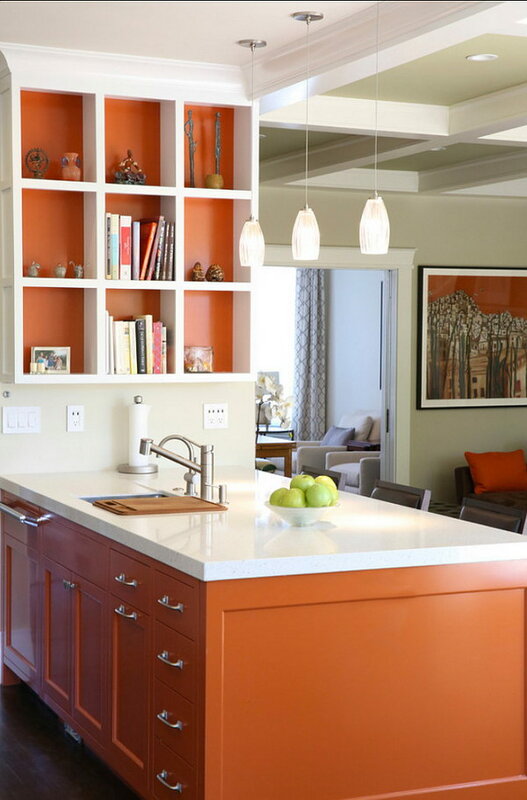 One of the best things about going for orange kitchen cabinets is the fact that this color immediately infuses brightness and playfulness in the room. Even if a single kitchen cabinet is painted orange, the color’s effects are still going to be felt pretty strongly. Just keep in mind that like purple, orange should be used moderately and if you want, then you can also combine it with white or grey to achieve an elusive poise. Blue is a color that can actually be used anywhere in the house and it’s actually preferred by most of us. Even a hint of it may add a touch of serenity and calmness in the room it’s used in, so if you want your kitchen to be a space that evokes such a mood, then blue is the way to go. 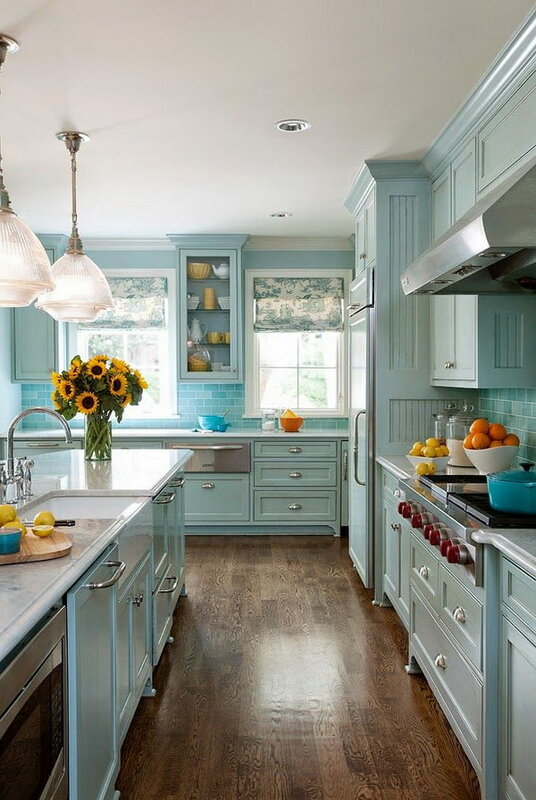 Since it’s energizing and rejuvenating, blue looks even better in a country cottage style kitchen. 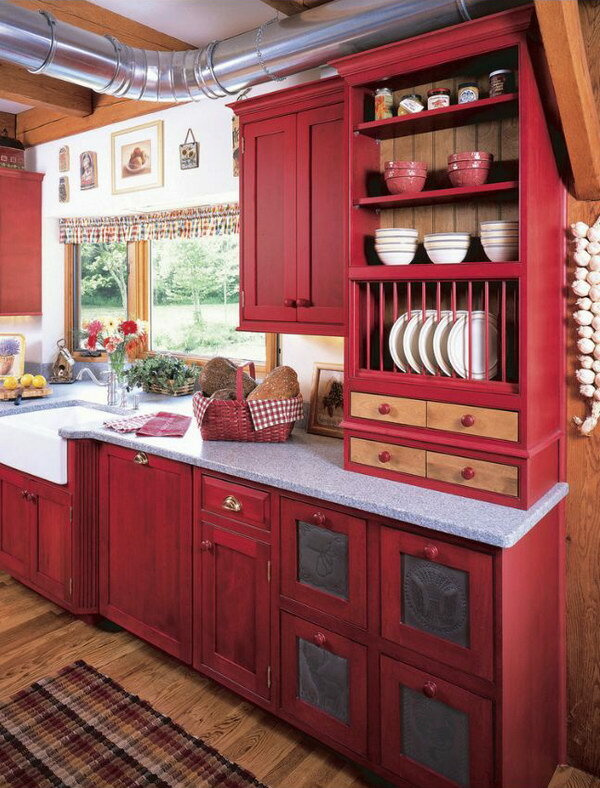 Usually associated with power, stimulation and excitement, red is a great color for your kitchen cabinets since it stimulates hunger. Just make sure you speak to your interior designer if you use one, but if you don’t, try a few shades of red on a plank first before painting your kitchen cabinets. This way, you’ll have a much better idea of which shade you prefer most. Since the kitchen is probably the only room in the house where you spend the most time with your family, it’s recommended that you make it as cozy as possible. In this regard, you can choose to paint your kitchen cabinets brown, since this color will give the room an inviting, homey and cozy mood. 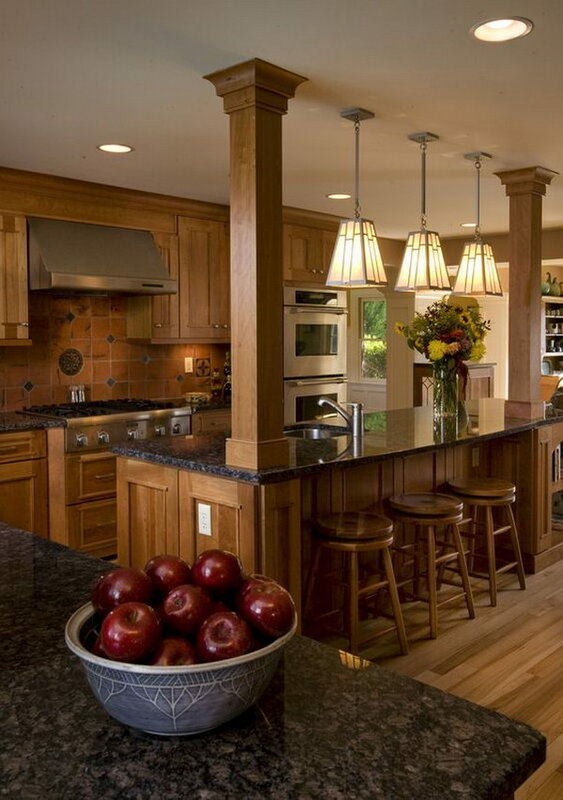 On top of that, brown is also associated with warmth and since it conveys stability, it’s a wonderful choice to be considered for your kitchen cabinets. Green is one of the few colors that immediately make you feel at peace and that’s thanks to the fact that it’s associated with peacefulness, healing and tranquility. However, the symbolism doesn’t stop there and green is also associated with harmony and balance and seems to go perfectly with a lot of colors. 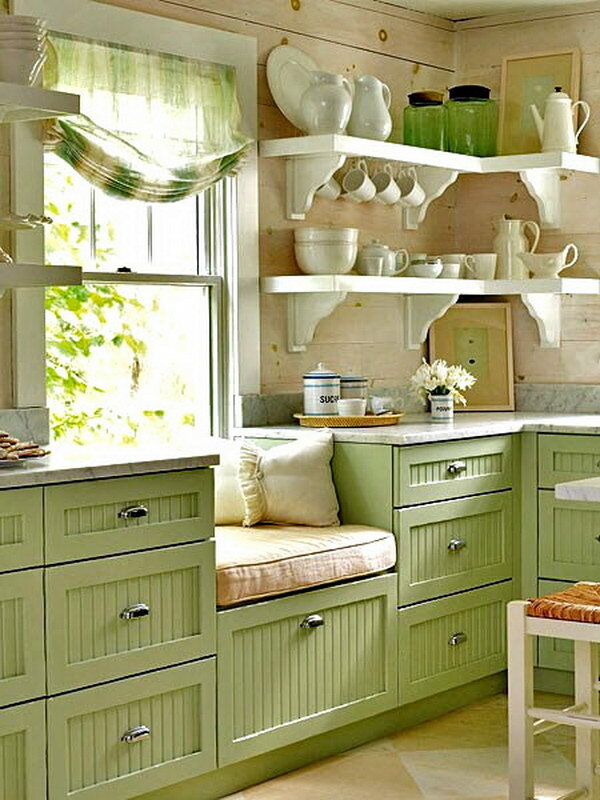 By painting even a few of your kitchen cabinets green, your kitchen’s mood will instantly become more welcoming, balanced and inviting. 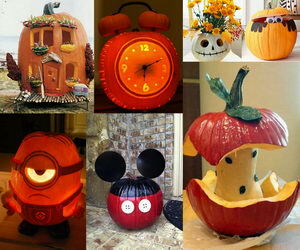 Last but not least, if you want to improve metabolism and stimulate thinking, then yellow is the way to go. 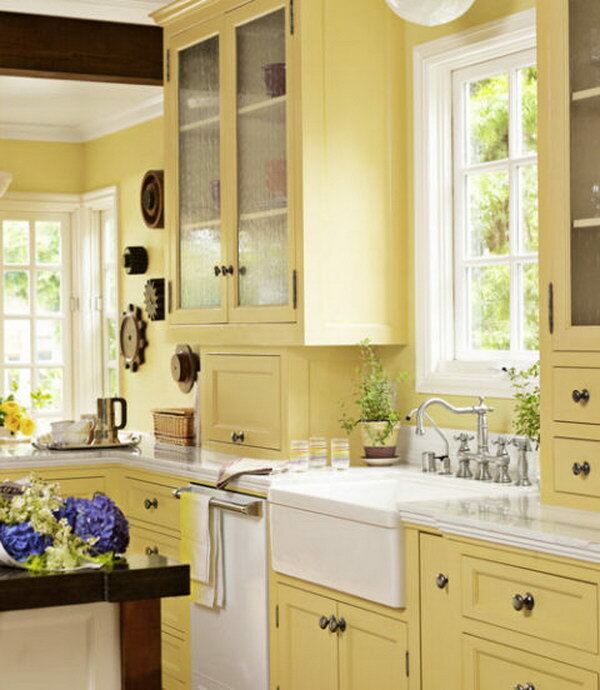 If used correctly, this incredible color can easily brighten up a room, so again, be sure to experiment with different shades of it before deciding to paint your kitchen cabinets. As you can see, colors play an essential role in the mood of your kitchen so that is why it’s thoroughly recommended that you take your time to think about the color you should paint your kitchen cabinets in. Thanks to this useful guide, we believe that choosing the right color is going to be a lot easier now that you know how each of them can affect your mood. 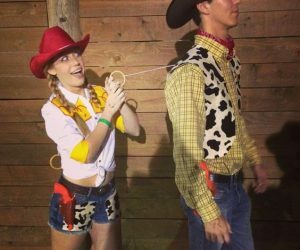 Hi, Linda! The color used on the wall and cabinet is Sherwin-Williams “Tidewater” .